Highland Park 50 Year Old Single Malt Whisky is one of the most talked about releases of recent years and is the oldest whisky bottled by Highland Park. This incredibly rare bottling of Highland Park was bottled from a combination of five refill casks from 1960. The casks were married together to "harmonise" their flavours before being bottled, a process Highland Park calls "cask harmonisation". 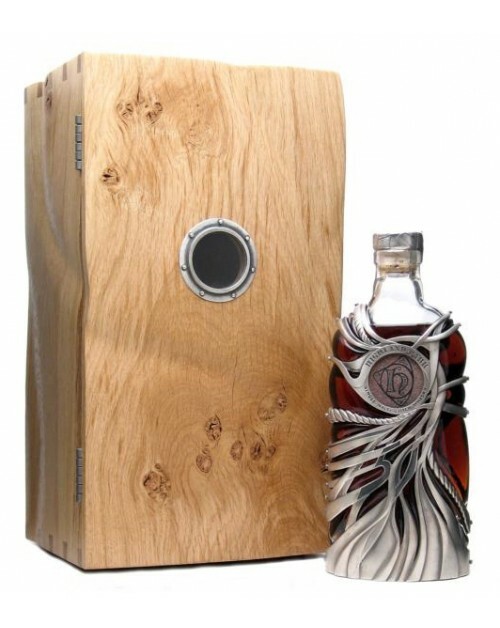 The bottle has been designed by New York based Jeweller Maeve Gillies who grew up in Edinburgh. The bottle, which is created from hand-crafted sterling silver is inspired by the forces of nature and in particular the sea. Using her jewellery making expertise, the bottle features a metallic "net" design, a piece of Orkney sandstone carved with the Highland Park logo and a hidden silver replica of the Rose Window from St Magnus Cathedral. Only 275 bottles were produced. Nose: Dusty wood and eastern spices combine. Palate: Full of muscovado sugar, orange peel, camphor and cloves. Finish: Very long and very nice.